Our tax dollars are being spent on holding nearly 15,000 children, some as young as 18 months old, in detention facilities or in foster care. Children and adults are dying in U.S. government custody. With each passing day, the likelier it is that these kids suffer permanent psychological scars, creating a generation of broken families. This is state-sanctioned child abuse in our name. Despite officially rescinding its “Zero Tolerance” policy, the Trump Administration continues to separate children from parents at the border. And ICE continues to target and separate families in our communities. There is a way to respond. Our own Colorado Legislature is considering a number of bills and resolutions aimed at keeping families together and returning justice to our immigration laws. One measure in particular is inspired by Garfield County’s own Sandra Lopez. It is known as the People’s Resolution (www.peoples resolution.org). 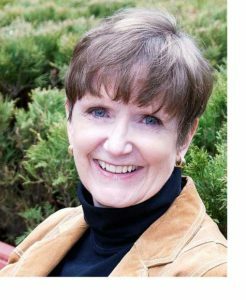 In October of 2017, Sandra took sanctuary for 10 months in the parsonage of Two Rivers Unitarian Universalist in Carbondale. For years, she faithfully attended her check-ins at Immigration and Customs Enforcement. Then, in 2017, the mood changed. Despite 19 years here, a mother of three, with no criminal record, ICE issued Mrs. Lopez a deportation order. Unwilling to lose her family, Sandra entered sanctuary. Three other women also took sanctuary in 2017: Rosa Sabido in Mancos, Ingrid Latorre in Boulder, and Araceli Velasquez in Denver. • Human beings who deserve dignity. • That human rights supersede law and require us to change legal and political constructs. • That children need their mothers and fathers, and that destroying this bond for the sake of enforcing arbitrary legalities is wrong. Together, these four women sought concrete ways to protect their families and advocate for the thousands of other families like them. Working with lawyers, immigrant advocates, and faith leaders, they drafted the People’s Resolution. It calls on Congress to fix our broken immigration system and create a path to legal status for people who live here, work, go to school, pay taxes and follow the law. The resolution also calls on Colorado’s legislature and governor to listen to the needs of their people. It urges them to take proactive steps to shield undocumented immigrants from the cruel crusade to separate families. It calls for restoring a clear line between federal immigration enforcement and local law enforcement, so that police and sheriffs departments can concentrate on fighting crime and protecting public safety. And, it allows judges to again consider personal character and individual circumstances in immigration cases. The resolution asks Colorado’s leaders to recognize the contributions these women have made to their communities. Cumulatively, they have resided here for 76 years. They are mothers to eight U.S. citizen children. The resolution calls on leaders to recognize the women’s full compliance with all legal requirements and attempts to gain citizenship. And, it calls on leaders to recognize their enormous sacrifice by choosing to live confined in a church for a collective five and a half years. Colorado can be a leader in protecting families. The People’s Resolution will be introduced in the Colorado Legislature within the next two weeks. It will send a message to Congress about our values and the actions we expect our representatives to take to resolve the terrible abuses taking place in this long-broken system. Please contact state Sen. Bob Rankin (303-866-5292; bob.rankin.senate@state.co.us) and state Rep. Perry Will (303-866-2949; perry.will.house@state.co.us), and ask them to endorse and support the People’s Resolution when it is introduced in the Assembly later in April. The Sanctuary Committee of Two Rivers Unitarian Universalist includes: Sandra Lopez, Shawna Foster, Sophia Clark, Ann Johnson, Jocelyn Durrance, Sue Coyle, Dorothea Farris, Gabrielle Bedeian and Will Hodges. The Rev. 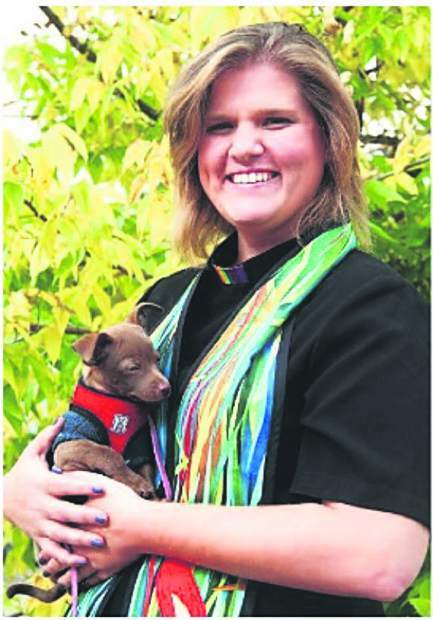 Shawna Foster is pastor for the Two Rivers Unitarian Universalist congregation in Carbondale.